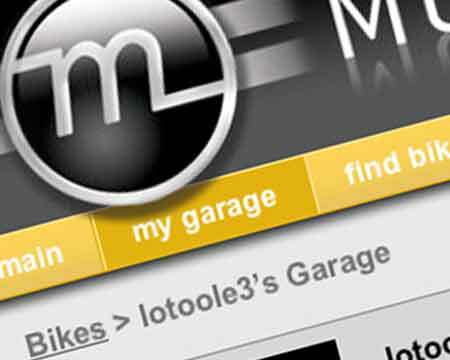 Motortopia has launched - a cool, MySpace-like site for cars, bike, planes and boats. The site is really well-designed, and lets you upload photo albums, make friends and challenge other owners in style, performance and overall coolness. Check it out... there aren't a lot of bikes on there yet, so get posting! Buying an old motorcycle may not make complete economic sense when some new or relatively recent bikes are available, but the promise of getting that old bike running again as it was designed to do and once did, hearing an engine that hasn't made a sound in decades come to life, you just can’t buy that kind of happiness. While perusing the pages of Ebay, I struck upon this little gem. It's an auction for a nifty little polypropylene "trunk" that mounts between your license plate bracket and plate itself, and gives you a little lockable storage compartment for things like your wallet, insurance information, tire gauge, etc. Very clever. A great addition for us early Yamaha riders, as there's not a lot of space to store stuff on this bike. It looks generic enough to bolt to our license plate hangers, but I'm not sure. Here's a link to the auction. I wasn't able to find a site selling them. Note that it will NOT fit MD, OH, WI motorcycle license plates. Sorry guys!